Can you believe it's already the last week of October?! It seems like time is evaporating before my very eyes! Today I thought I would share a trio of cards that I created today using a fun wax paper resist technique that I learned a few years back. It's seriously fun--Almost seems like a magic trick and yet it's so easy! 1. 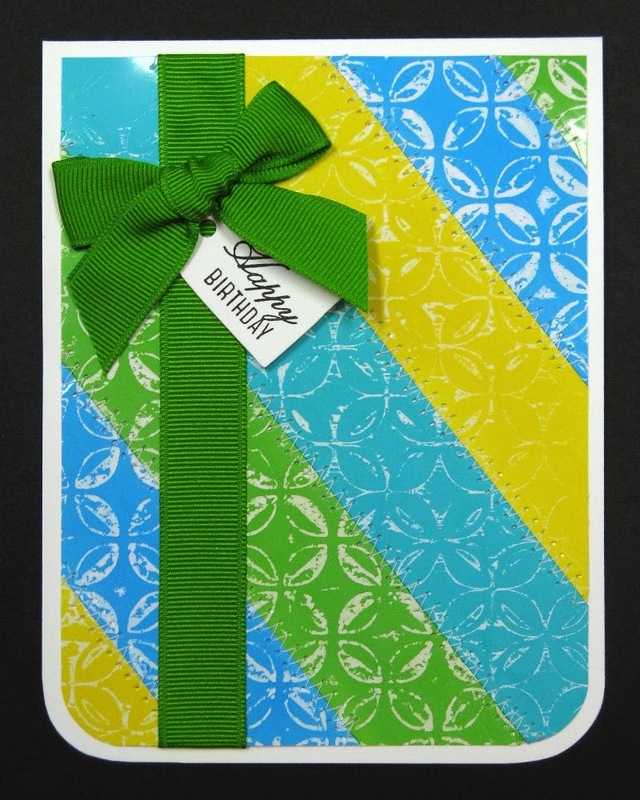 To do this technique you'll need white glossy cardstock, standard wax paper, an embossing folder, ink and an iron. I started my cards by cutting my glossy paper in quarters (4.25 x 5.5) and then cutting the wax paper just slightly bigger than that. 2. I then ran the wax paper through my diecutting machine using the wax paper inside an embossing folder. 3. Next you sandwich the embossed wax paper between two pieces of glossy cardstock (glossy sides facing in towards the wax paper). 4. Then on a low heat setting you iron the backside of the glossy paper. I found that the heat transferred well to the bottom piece of cardstock and didn't require flipping it over to iron the other side of cardstock). 5. Here is where the magic trick happens! Rub your ink of choice (I used Tim Holtz Distress Inks applied directly to the surface swiping the ink to the glossy cardstock and then rubbed away the excess with a paper towel). The areas where the wax melted onto your glossy paper will resist the ink. It is super cool and best of all doesn't require any stamps, embossing powders or heat guns (especially nice if you're a newbie just starting out). 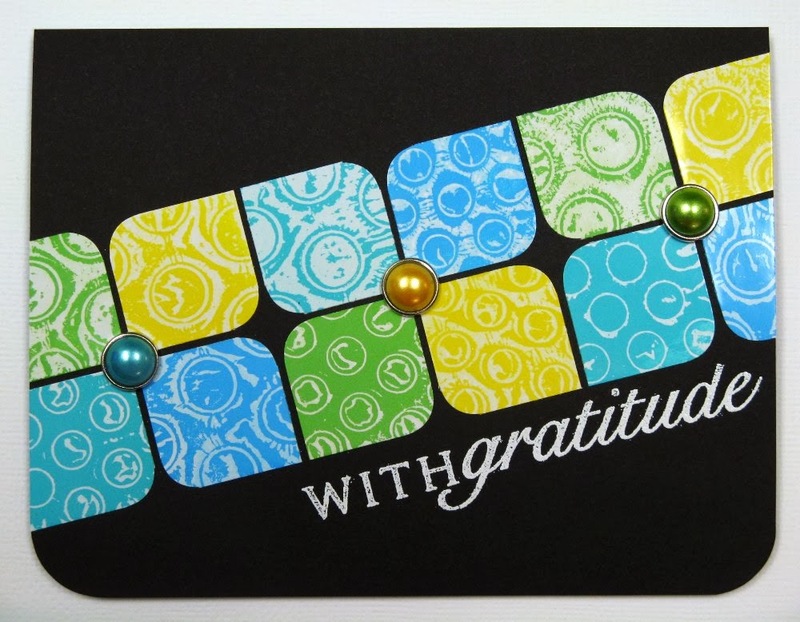 For my first card I used a couple different polka-dot embossing folders which created the look of distressed bubble wrap. What an interesting technique!! The cards look great. Love the bright colors. Thanks for sharing. These cards are beautiful. I have done this technique myself and I really do think its a ton of fun. Thanks for reminding me of such a fun technique!